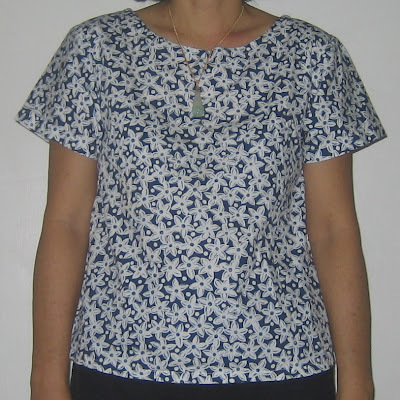 This is a very simple short sleeves blouse. It is comfy and nice to wear.The cotton fabric was given to me by my fourth sister. Well, I have seven sisters and three brothers. What a big family, right ? Wow, your family is sure BIG!! I have two sisters and two brothers, and I had thought that I have a big family, too, but gosh, you win! And I love the blue x white flowers of this fresh blouse!